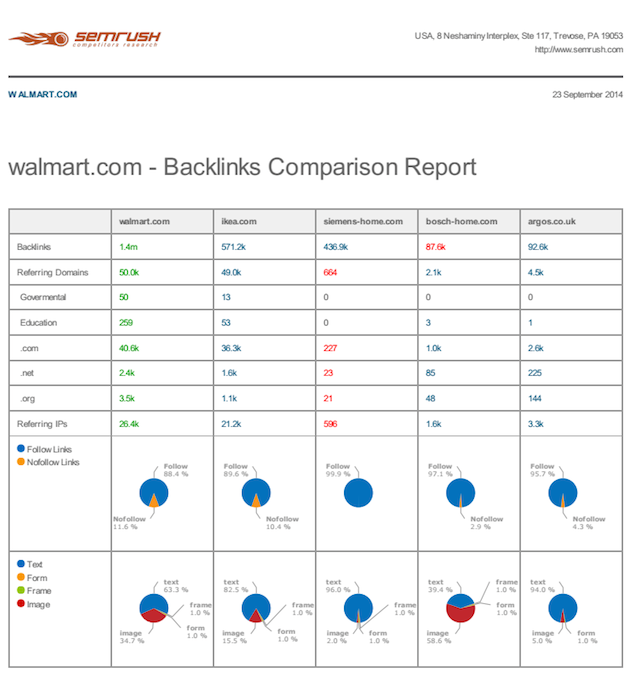 Backlinks Comparison is now available in PDF! SEMrush is currently offering more reports in PDF format. Now can you not only compare the backlinks' weight on competitors' domains but also export all your data to PDF. Creating a Backlinks Comparison PDF report is easy: Just type in up to 5 domains you’d like to compare in the input fields and click Compare, followed by the PDF button located in the upper-right corner. In only a few minutes, you'll receive your report in your mailbox, or you can find it in your SEMrush Profile by clicking on the PDF Reports tab. Export Site Audit data to PDF format.